The laboratory’s remit was to conduct research and development regarding chemical weapons agents used by the British armed forces in the First World War, such as chlorine, mustard gas, and phosgene. When the Second World War ended, the advanced state of German technology regarding the organophosphorous nerve agents, such as tabun, sarin and soman, had surprised the Allies, who were eager to capitalise on it. Subsequent research took the newly discovered German nerve agents as a starting point, and eventually VX nerve agent was developed at Porton Down in 1952. In the late 1940s and early 1950s, research and development at Porton Down was aimed at providing Britain with the means to arm itself with a modern nerve agent-based capability and to develop specific means of defence against these agents.Tests were carried out on servicemen to determine the effects of nerve agents on human subjects, with persistent allegations of unethical human experimentation at Porton Down. In 1942, Gruinard Island, Scotland, was dangerously contaminated with anthrax after a cloud of anthrax spores was deliberately released over the island during a trial. 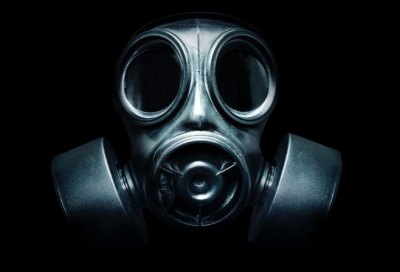 “From 1945 to 1989, Porton exposed thousands of human “guinea pigs” to nerve gas. It seems probable that Porton has tested more human subjects with nerve gas, for the longest period of time, than any other scientific establishment in the world” – reported The Guardian in 2004. Two other nations have admitted testing nerve gas on humans, but nowhere on the scale the Britain has: the American military exposed about 1,100 soldiers between 1945 and 1975, and Canada tested a small number before 1968. Between 1963 and 1975 the MRE carried out trials in Lyme Bay, Dorset, in which live bacteria were sprayed from a ship to be carried ashore by the wind to simulate an anthrax attack. The bacteria sprayed were the less dangerous Bacillus globigiiand Escherichia coli, but it was later admitted that the bacteria adversely affected some vulnerable people. The town of Weymouth lay downwind of the spraying. When the trials became public knowledge in the late 1990s, Dorset County Council, Weymouth and Portland Borough Council and Purbeck District Council demanded a Public Inquiry to investigate the experiments. The Government refused. During the same time period Porton Down were investigated for another 25 deaths that surrounded the use of injecting anthrax, smallpox, polio and bubonic plague into unsuspecting volunteers. For 30 years the government refused any inquiries. Porton Down has been involved in human testing at various points throughout the Ministry of Defence’s use of the site. Up to 20,000 people took part in various trials from 1949 up to 1989. From 1999 until 2006, it was investigated under Operation Antler. In 2002 a first inquest and (source) in May 2004, a second inquest into the death of Ronald Maddison during testing of the nerve agent sarin commenced after his relatives and their supporters had lobbied for many years, which found his death to have been unlawful. Different departments at Porton Down use animal experiments in different ways. The Biomedical Sciences department is involved with drug evaluation and efficacy testing including toxicology, pharmacology, physiology, behavioural science, human science, trauma and surgery studies. The Physical Sciences department also uses animals in its ‘Armour Physics’ research. In a separate case in 2000, it was reported that Police were investigating chemical warfare tests at Porton Down and were examining at least 45 deaths. There is no further information as to the outcome of these investigations. Hundreds of veterans who were subjected to tests at the Porton Down chemical warfare installation were awarded compensation totalling £3m, the defence minister, Derek Twigg, announced back in January 2008. The award was welcomed by representatives of the veterans, who say they were tricked into taking part in tests at the Wiltshire facility during the cold war. Many believed they were helping to find a cure for the common cold. A group of 369 servicemen affected launched legal action against the MoD last March, arguing that tests – including being sent to gas chambers and being exposed to nerve gas, mustard gas and teargas – had left them with health problems ranging from respiratory and skin diseases to cancer and psychological problems. Just six months ago, Animal-rights campaigners reacted with fury and shock after it emerged the Government’s warfare laboratory tested on almost three times more monkeys than the previous year. Freedom of Information requests found that 2,745 animals – including macaque monkeys, pigs and marmosets – were housed there.